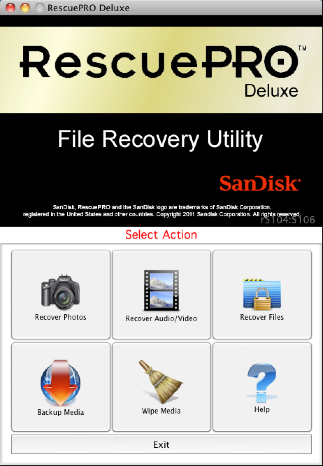 RescuePRO Deluxe is an easy-to-use application that recovers images, movies, sound files, documents, mail, videos, music and more. Recover data even if files were deleted, lost, corrupted or formatted. The wizard driven, user-friendly graphic interface makes it easy to recover your files with just a few mouse clicks.